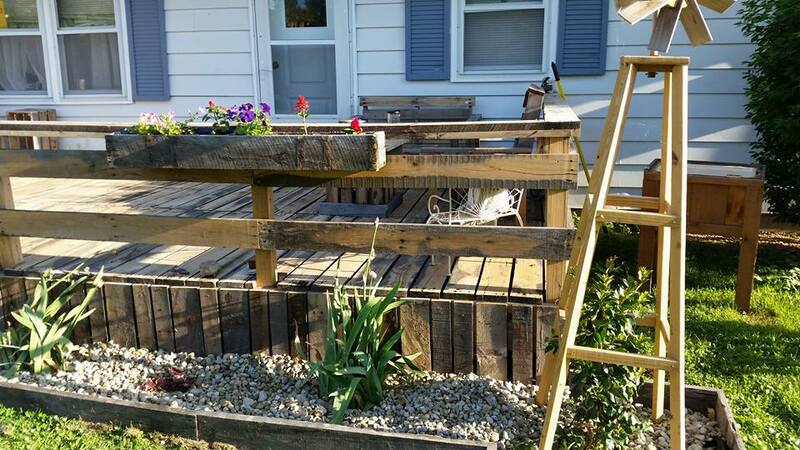 Nice looking pallets made garden deck can be created outside of your home if you love to spend time outside of home. This is such a good way of enjoying nature and weather. 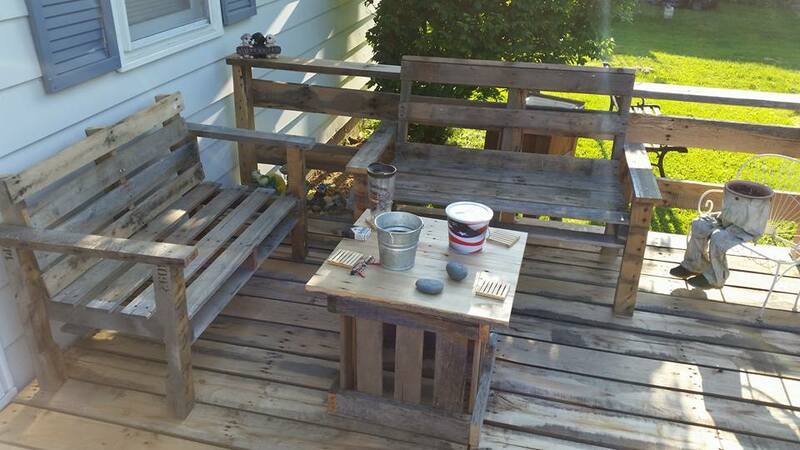 Pallets wood is being recycled and upcycled to create attractive and fine pieces of wooden products and garden deck is one of largest creation of pallets upcycled ideas. 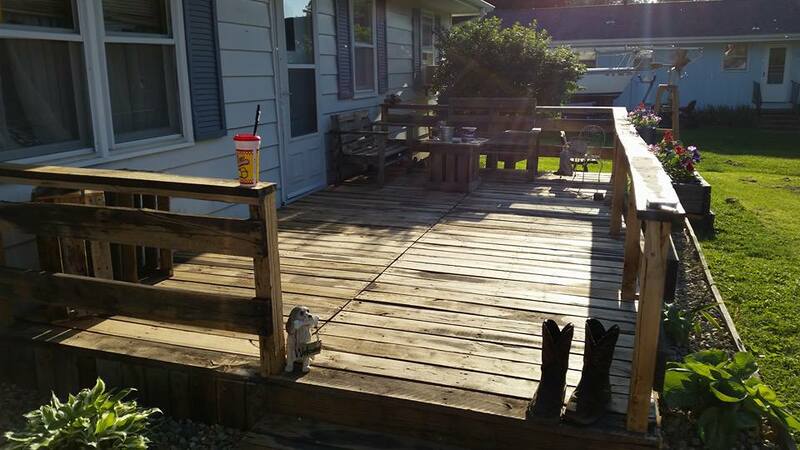 With you creativity in designing the style of garden deck, you can make it look more attractive however; a simply designed also looks good in garden environment and gives rustic and natural look. 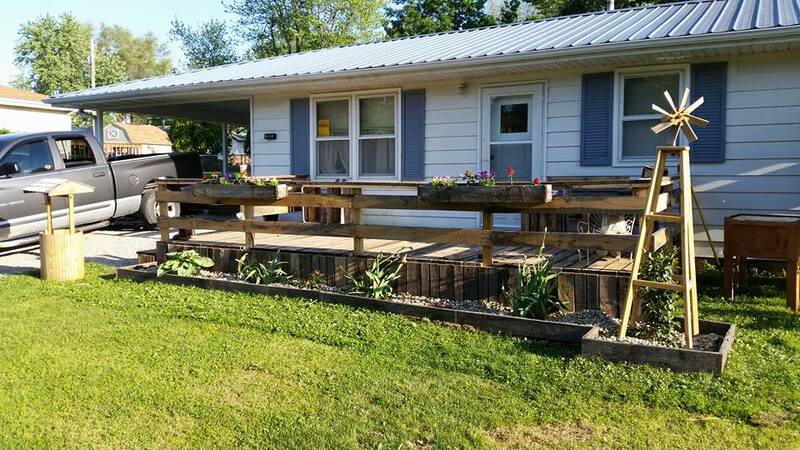 You can here see that pallets made planter boxes are created on fence of the garden deck and see how much they are looking attractive. These are small planter boxes in which you can grow small flower plants. 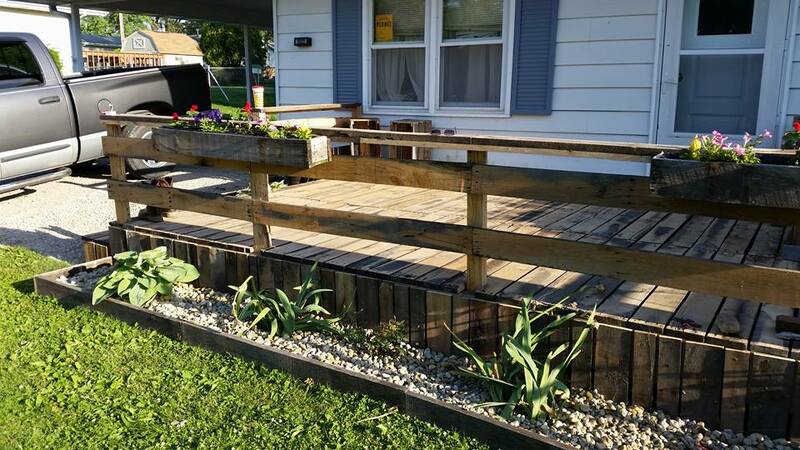 This is really an awesome creation of pallets wood that can be accomplished for more attractive and sophisticated look of outer fence of garden deck. pallets made garden deck and its outer fence are quite compatible with each other as they are created in same color and texture of pallets wood. creating such a nice thing with pallets wood is easier and you can do this with good carpentry skills. Garden deck furniture is also very important to arrange sitting for your family and friends and there come lots of furniture pieces that you can construct using pallets wood. 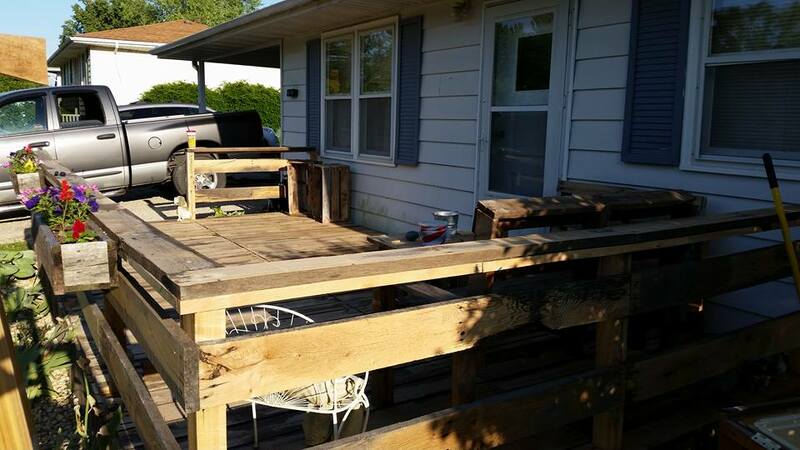 For example, sofa with table, sitting benches, chair set, couches etc can be created with pallets wood as this is done here on garden deck.